The Bigehan Hotel (formerly known as the Carpe Diem Bilgehan Hotel) is located in a mountainside position, near the bustling village of Hisaronu, allowing guests to enjoy the fantastic views. Within easy walking distance are the village’s shops, bars and restaurants, as well as a lively nightlife. The beautiful beach in Olu Deniz is 2.5 miles away from the hotel. Locally, there are plenty of activities available, such as paragliding, diving and jeep safaris whilst the mountains are perfect for those who enjoy walking or who want to hire a mountain bike to explore the picturesque mountainside. The 3 star Bigehan Hotel’s rooms are spacious and well equipped with air conditioning, satellite television and a balcony or terrace. Pine trees, palms, fig, avocado, orange, lemon and papaya all grow in the attractive gardens that surround each building. 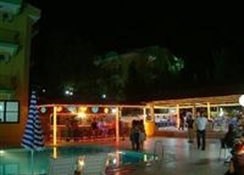 Some of the hotels facilities include an inviting swimming pool with separate children’s pool, a kid’s playground, a restaurant with outdoor seating and great views, a bar serving drinks and snacks, a Turkish bath and sauna, an internet cafe and Wi-Fi internet facility. There is also entertainment throughout the day including volleyball, darts, table tennis, in football. 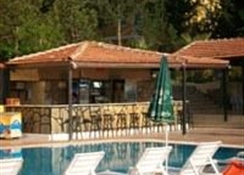 In the evening the entertainment option continues with regular karaoke and a Turkish night once a week. 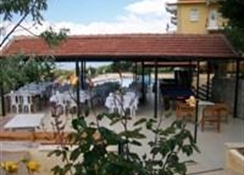 Furnished in a simple style, this pleasant aparthotel has a large pool with separate children's pool and a terrace for sunbathing with paths extending into a covered bar and restaurant area where karaoke is held every evening. Comprising a total of 50 guest rooms, the air-conditioned establishment welcomes its guests in a lobby with 24-hour reception and check-out service. A hotel safe, currency exchange facilities, a TV lounge and a bar are also available.The hotel rooms are all carpeted and offer facilities such as a hairdryer, direct dial telephone, satellite/cable TV, a minibar and individually regulated air conditioning. Furthermore, each room features a shower, double bed, Internet access, a fridge and a balcony or terrace.